Insectropolis, Toms River : Enjoy a Bug Bash at Insectropolis! Insectropolis - Enjoy a Bug Bash at Insectropolis! Do you know a bug enthusiast with a birthday coming? Enjoy a unique Bug Bash Birthday at Insectropolis in Toms River! 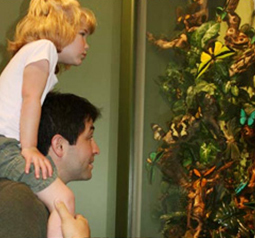 A Bug Bash consists of an entertaining and educational exploration of the museum with one of our insect handlers. The party room is made available to your group for ½ hour where food or cake can be served. Total time for the Bug Bash is 1 ½ hours. Contact them for more information, pricing or availability at (732) 349-7090!